"Like Father, Like Son" portrays a father and young son decorating the two snowmen they built. While the son adds a tie and red hat to his snowman, dad adds a long stocking cap and scarf to his. 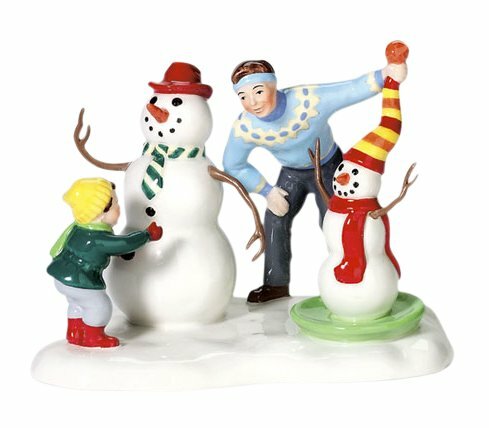 The hand-painted figurine is part of the Original Snow Village Collection which is designed and manufactured by Department 56.